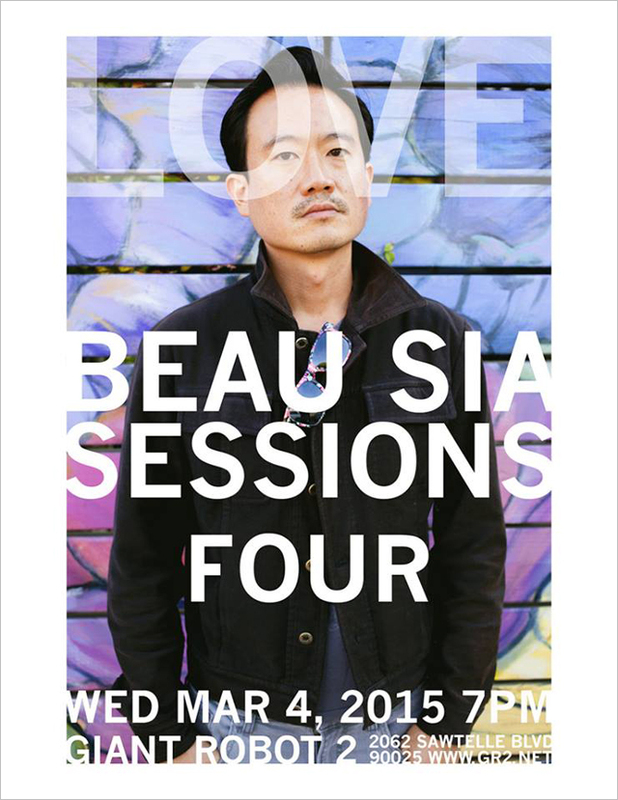 If you're in Los Angeles, poet Beau Sia invites you to the latest edition of his LOVE, BEAU series, an intimate little monthly gathering where he shares poems and work on his relationship with love. It's happening this Wednesday, March 3 at GR2. This month's meetup will feature special guest Chinaka Hodge. Giant Robot is proud to host Beau Sia at GR2. Hear Beau Sia expose his past and present in a monthly meet up of intimate vulnerability. Love Beau explores Beau's older work and newer work as well - many of which is written that exact day. He reads without judgement and explores love. For further information, refer to the Facebook event.